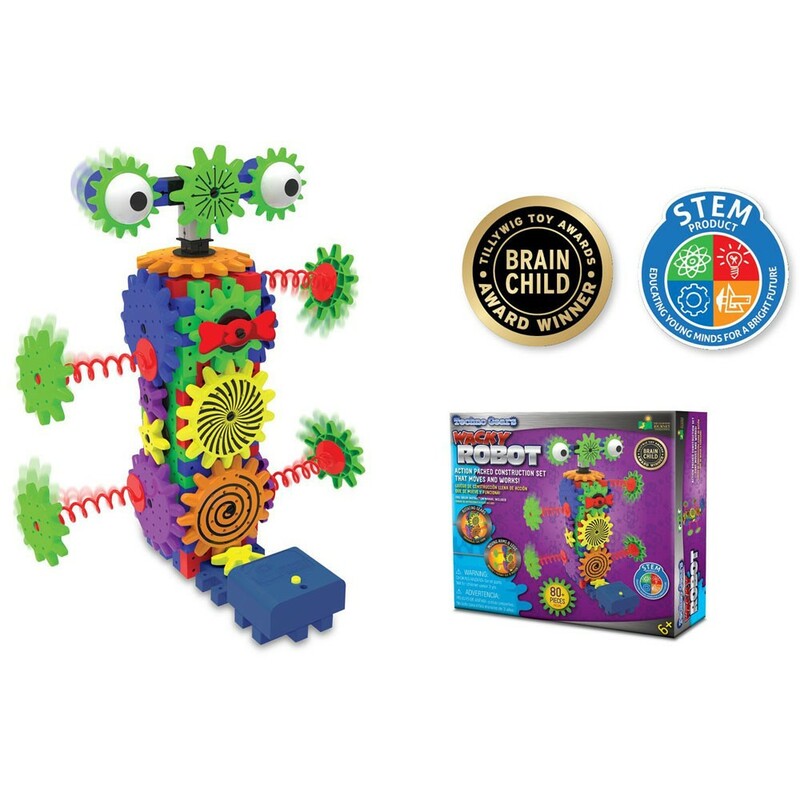 This Techno Gears kit includes everything your child needs to build their own wacky robot with motorized gears. 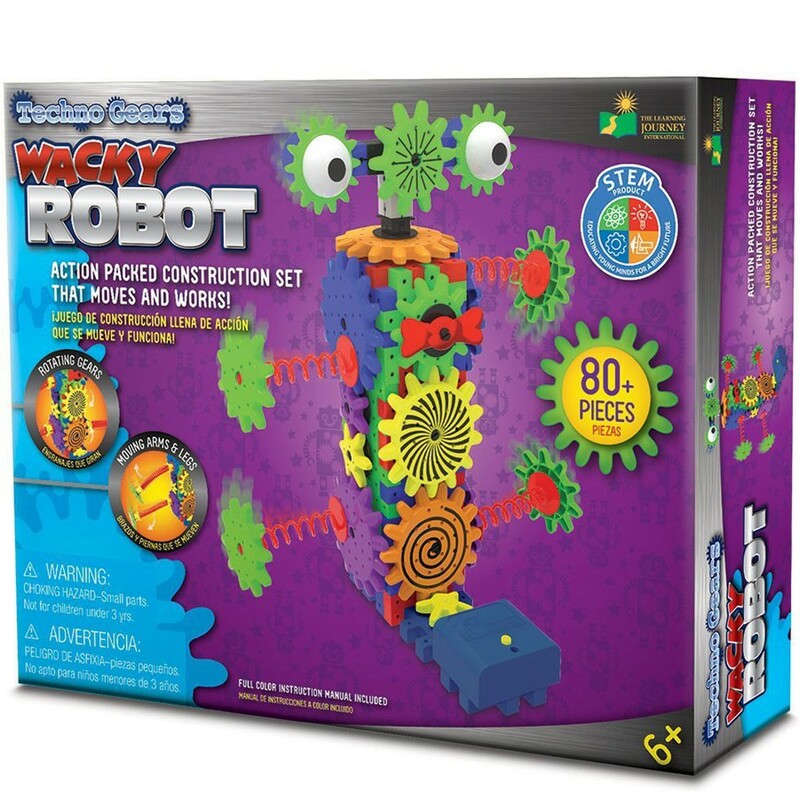 Make your own futuristic robot friend with the Wacky Robot Techno Gears 80 pc Building Set. 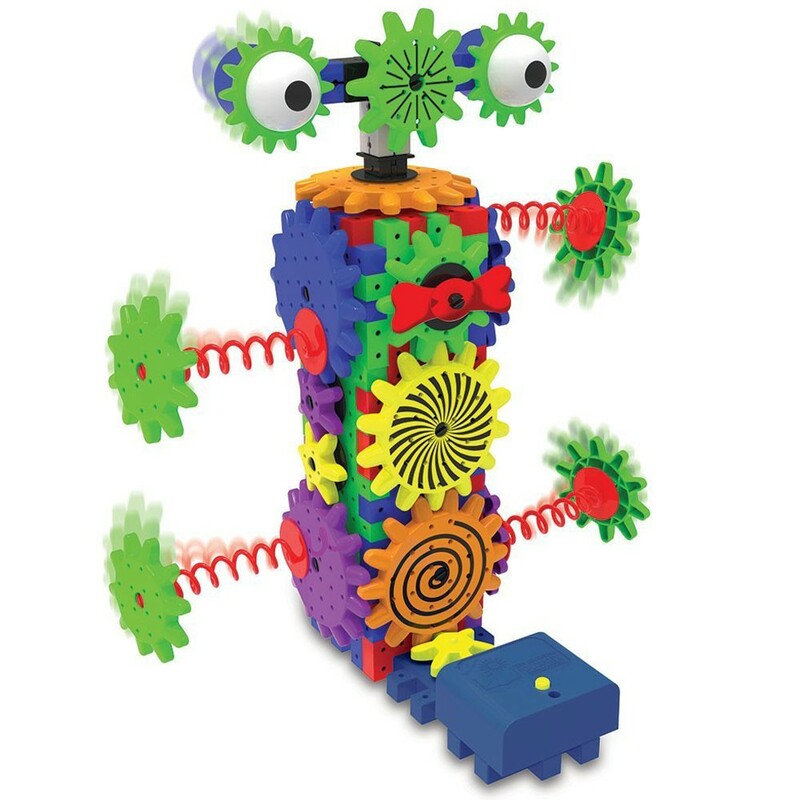 This new gears set from the Learning Journey includes 80+ building pieces including the power motor to motorize gears. The mechanics of the robot include gears and will introduce and experience the science of gear ratio. 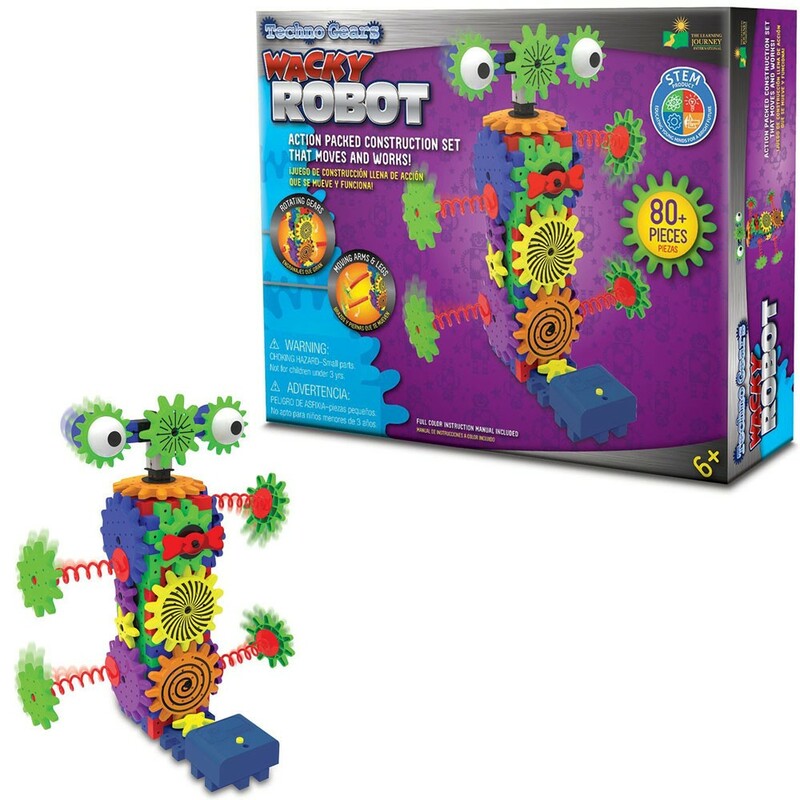 This robot building set aligns with the Science, Technology, Engineering and Math standards (STEM). Requires 2 AA batteries (not included). The set is compatible with any other Techno Gears sets from Educational Toys Planet. Dimensions of package 8" x 15" x 19"
Write your own review of Wacky Robot Techno Gears 80 pc Building Set.